Downloading an Android app is usually a straightforward process – you find it at the Play Store, hit that green "Install" or "Buy" button, and wait for the process to complete. Uninstalling software is not a complicated task either. Yet sooner or later, an Android user encounters apps that refuse to be removed, and dealing with the issue requires knowledge that an average Joe does not possess. That's why we thought we'd shed some light on the matter. You see, not all apps are made equal. Some require little to no special privileges, while others need access to certain functions and databases on your phone in order to work properly. Some even require administrator access – apps that do can set passwords, lock/unlock the phone, track its location, and lots of other neat stuff. In the latter case, you won't be able to uninstall an app without revoking its administrator access first. To disable an application's administrator access, go to your Settings menu, find "Security" and open "Device Administrators". On Samsung devices, the features is tucked away within "Lock Screen and Security" > "Other security settings". If you can't find the option yourself, use your phone's built-in search function in the Settings menu. See if the app in question is marked with a tick. If so, disable it. Now go to your apps manager – the application should now be uninstallable. Bloatware is an issue that millions of phones are affected by. That's the collective name for the (usually superfluous) software that carriers and manufacturers like to pre-load on their devices. In most cases, these apps can't be uninstalled as they're labeled as part of the operating system. You do have several options, however. One of them is to disable the app in question. This turns it off and prevents it from wasting system resources other than storage space. This is done from the app manager in the Settings menu - see if the app gives you a "Disable" or "Turn off" option. To enable the app at a later time, swipe to the right-most tab in your app manager. You should also know that having root access makes it possible to uninstall any app, even those that are not uninstallable by default. Here's our guide on uninstalling Android bloatware on rooted devices. Nick, your knowledge on the Android ecosystem is superb, keep the good job Bro! I think AirMore is also a good tool to uninstall unwanted apps. 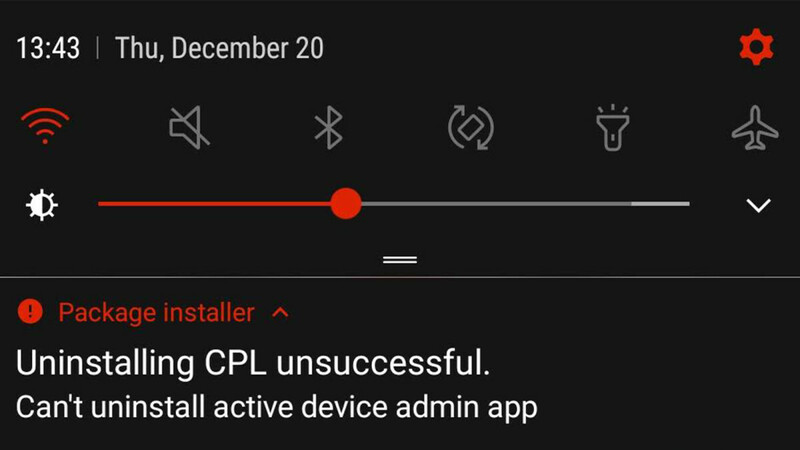 I hope we can also uninstall a bloatware app even without rooting the phone indeed. disable the app or clearing data might free up some RAM, but not the ROM. so basically they're still there. its good if we can uninstall those bloatwares without the need of rooting, because not every Android users are so geeky. I wonder what advantage you'd expect by freeing up space in ROM. You won't get more space in your data partition anyway which means no additional media storage and no additional room for app installs. By clearing up app data you already did everything necessary to free up useable space. you are generally right, but imagine owning a mid-range samsung with around 30 or even more bloatware apps (i said samsung because they typically have the most bloatware) and delete them from your rom with root. you are going to have a lighter rom, even slightly, and this has many advantages. if you have an s5 you are not going to notice any difference, cause it's fast enough, but an entry level device should see some benefits. Disabling bloatware apps on the Samsung Galaxy Note 3 (not rooted) has little effect. They'll lie dormant for a few days, then *surprise* an automatic update from Google Play -- and my auto-update is turned off for every app. Well said. Everyone who currently has an Android phone likely wasn't using them since the day they were first released...some of us on here have, but not everyone. Epitome of bloats, Touchwiz is the best example. Nice work PA! That's funny, because there are iOS apps that work the same way and cant be removed normally. IOS also has apps that are administrative on the system and cant be removed the normal process. And like Android, Apple bloat apps cant be removed either. In fact they continue to take up space as all you do is remove the icon. On A droid, not only can I remove the icon, but I a. Totally block the app and prevent it from ever being updated or seen again...permanently which you cant do on iOS while you and this writer are spewing hate, just remember we have full control over what we can do while you need to be handheld by your handheld. Definitely miss the Nexus line. What about Google bloatware ??? All most all are useless. They are just spying apps and advertising platforms. Stock Android feels like old days B&W TVs. YES you can uninstall everything using Titanium Backup! Rooting only takes a couple of minutes or so to do these days. AND the procedure is now way easier than ever before. Does rooting disable OTA updates ? On Samsung devices, rooting disables Samsung Pay perminantly, even if you unroot and factory reset (thanks to Knox). Thaks a lot nick T. You are a genius!!! This was so useful. Thank you so much.